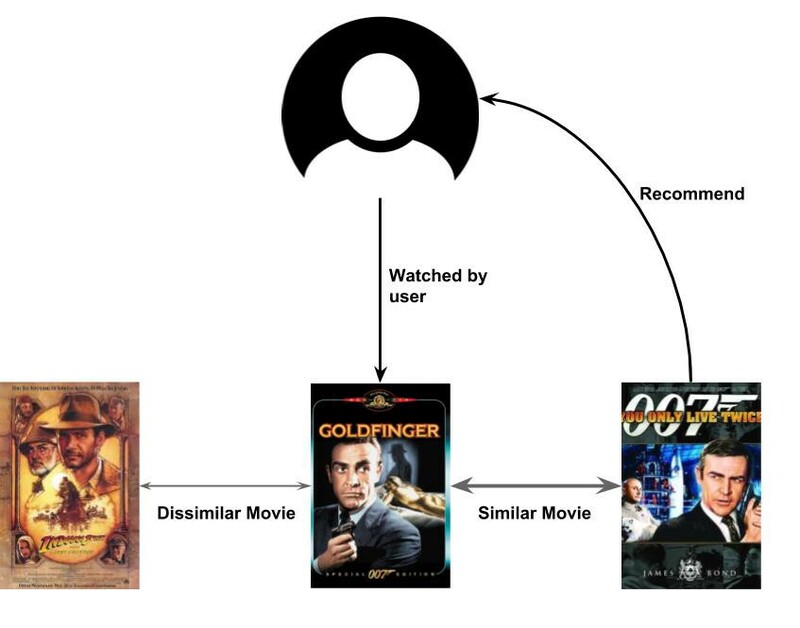 How Variational Autoencoders make classical recommender systems obsolete. With the increase of information overload, it’s getting nearly impossible to acquire exciting items through a sea of content. That’s why the recommendation system is here to the rescue. 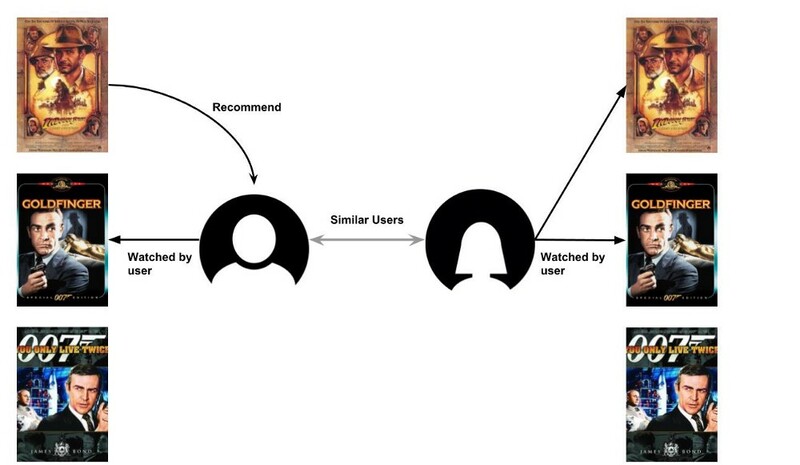 Recommender systems are the models that help a user base explore new content such as music and news by showing them what they will find potentially interesting. Here at Snipfeed, we deal with thousands of content every day with a demanding user base: Gen Z. By leveraging state of the art deep-learning recommender systems, we help the users navigate through their favorite videos, news, quizzes, and podcasts. (The beta version of our app is coming soon, but you can try the messenger version for a sneak peek). With the growing popularity of the recommendation system, the questions emerge: what new models and algorithms can bring the recommendation to a new level? How well can they perform compared with more classic methods like matrix factorization? 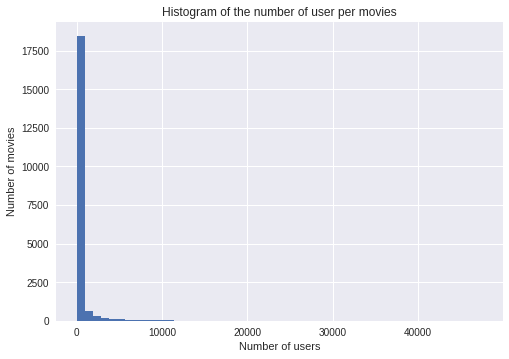 To answer the questions, I decided to compare nine methods and focus on two metrics: Normalized Discounted Cumulative Gain (NDCG) and the personalization index, using the infamous MovieLens dataset to conduct my experiments. I used TensorFlow and Keras to implement the models and trained them with the Google Colab Free GPU. For the analysis we will use the well-known dataset MovieLens 20M. 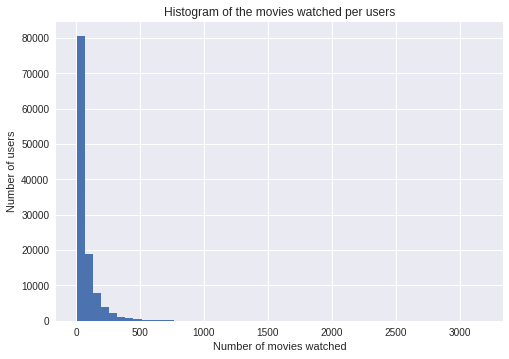 … and the majority of users have rated under 500 movies. This is consistent with most of RS problems: very few users rated a lot of movies, and very few movies have a lot of ratings. We can build a click matrix from this data. A click matrix follows the format shown below. The cell on row u and column i contains a 1 if user u has interacted with item i, and 0 otherwise. We also define the click vector xᵤ as the vector obtained by taking the uth row of the click matrix. To assess the quality of our models, we will split the dataset into 3 subsets, one for training, one for validation, one for testing. We’ll use the first subset to train the model, the second to select the best model during the training, and the last one to get the final metrics. Note that the recommendations have an order. Hence we have: DCG₁ > DCG₂, as the first two items in our prediction 1 are items we were targeting, whereas these items are at the end of the list for our prediction 2. The NDCG is the normalized cousin of the DCG, which means we’re projecting the scores between 0 and 1 so they translate between models. Recommendation systems can be divided into 2 categories: collaborative, and content-based filtering. 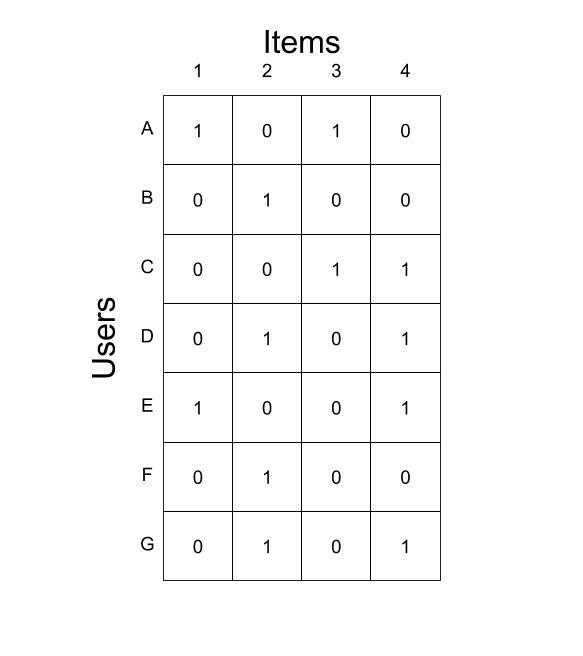 Collaborative filtering is a sub-family of RS based on user-similarity. It makes predictions on the interests of user u by analyzing the tastes of users which are close to u. It’s based on the hypothesis that tightly related users are more likely to enjoy the same type of content than dissimilar users. The content-based method, as described above, uses item descriptions to find the closest items to what a user has already seen. I implemented this method to be as exhaustive as I could, but a dataset with few features is always a limit for that method. 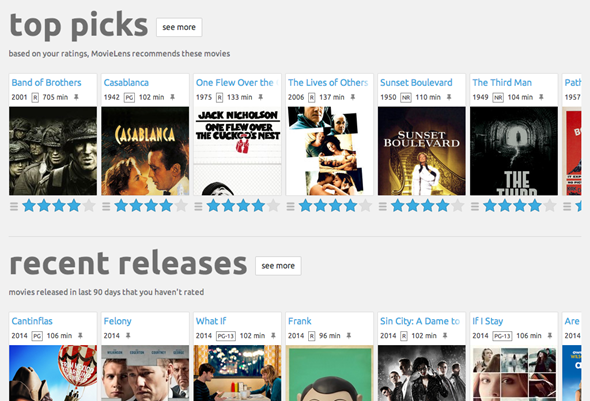 The MovieLens dataset only provides the movies’ genre. With dist(i,j), the distance between two items i and j. I used the cosine distance between vectors of genres. The NDCG is very low, which was expected as the number of features for each item is very limited. No cold start with respect to the items: One of the recurrent issue in RS is cold start. This issue arises when a new item or user is added, and recommendations are a bit stiff because you have no previous activity to infer from. In our scenario, the number of interactions an item has had doesn’t affect its likelihood to end up in recommendations, which means we don’t have the cold start problem when it comes to items. Easy implementation: As shown above with the few lines of pseudo-code, the algorithm is fairly simple. Query time is O(#items × #features): We have to be careful with scalability. Without preprocessing, each time our system is asked to recommend new content to a user, it has to find the k closest items to each of the items our user has interacted with. As there are #items to compare them to, and each distance takes #features computations to measure, this whole thing takes O(#items × #features). With pre-processing, we can kill this query time, but then we need to store the k closest items per item, which means k × #items in memory. Only works if there are enough features for the items: As seen in the results this doesn’t work if there is not enough features for the items. If a description of the plot of the movies was available, we could have better results. Simple to implement: As shown above with the little pseudo code, the algorithm is fairly simple, making it easy to implement. Interpretability: This is an important feature that some algorithms have. This allows to explain to the user why a specific content was recommended to them. This can have the form of: “We recommended you movie A because you saw movie B”. Scaling complexity: The main problem with this method is it can make it harder to obtain something scalable. Our best friends on this are Locality Sensitive Hashing (LSH) and nearest neighbor search algorithms. Query time is O(#users × #items): Query time without pre-processing is high per user, as you need to compute #users distances with a cost of O(#items) to get the distances to all other users. Then we need to find the k closest users, which is O(#items). With pre-processing, we can kill this query time, but then we need to store the k closest users to each user, which means k × #users in memory. Non-negative matrix factorization (NMF) is a well-known algorithm for recommendation systems that arose during the Netflix contest. The idea is to decompose the click matrix into two lower-dimension rectangular matrices, one for the users and one for the items, “embedded” into vectors of computable dimensions (we call that a latent space). Multiplying these two matrices back together results in a new matrix, with values close to the original click matrix where they existed, and all the gaps filled in with (hopefully) good predictions. Simple to implement: Some librairies such as Surprise or sklearn implement matrix factorization! 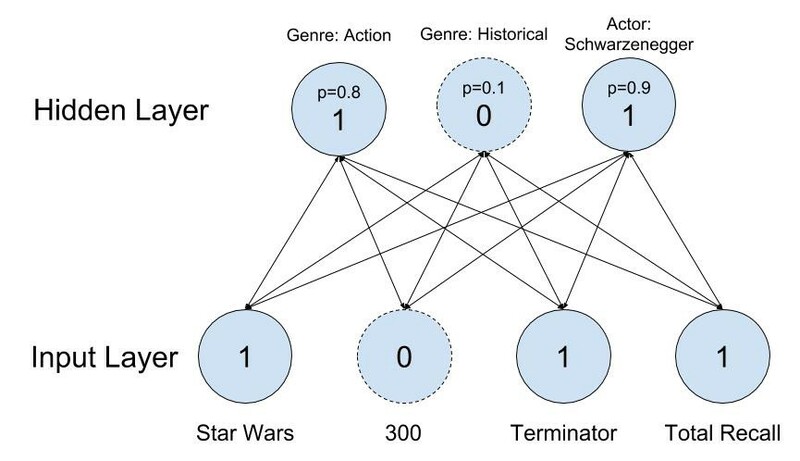 Potential interpretability: Using some clustering and some analysis on them (find common actors, genres, ect…); it is technically possible to obtain explicable results. Fast Query time: To get the recommendation for a user we only need to multiply a vector and a matrix. Linear Model: One of the main limitations of the matrix factorization is that it is a linear model, hence it cannot capture more complex relations in the data. Even though it is linear, we see that it give good results in terms of NDCG. 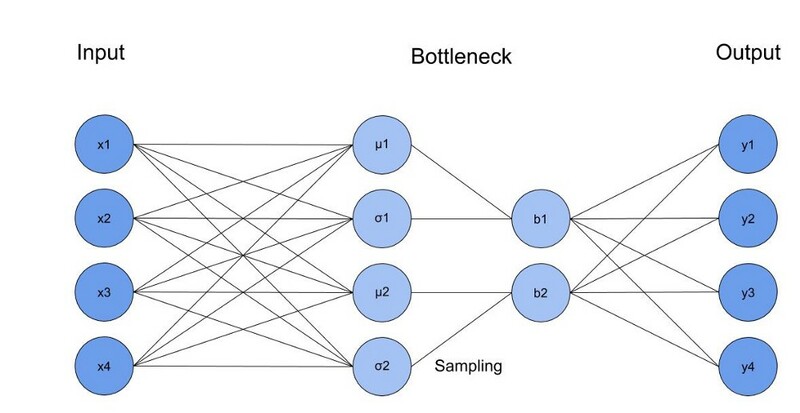 Neural Matrix Factorization (NeuMF) is a new approach that attempts to generalize the classic NMF seen above. It was developed in this paper. The model takes two integers (two indices) as inputs representing the item i and user u, and output a number between 0 and 1. The output represents the probability that the user u will be interested in item i. 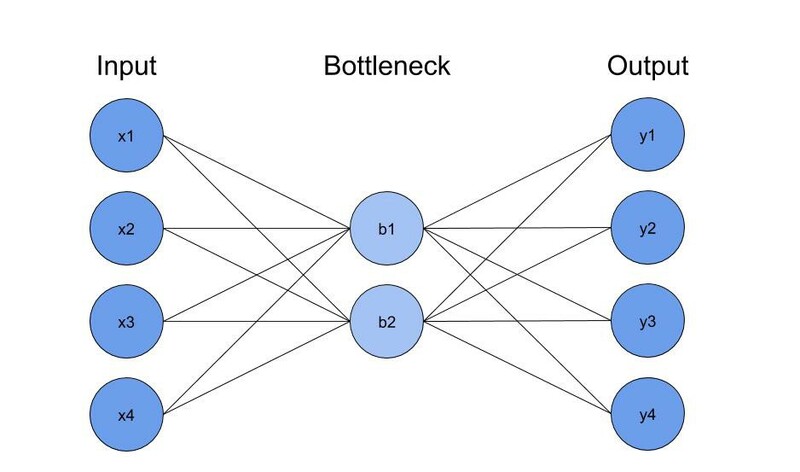 The architecture of the Neural Net(NN) can be split into two parts: the Matrix Factorization part and the fully-connected part. These parts are concatenated, and then passed on to a sigmoid layer. 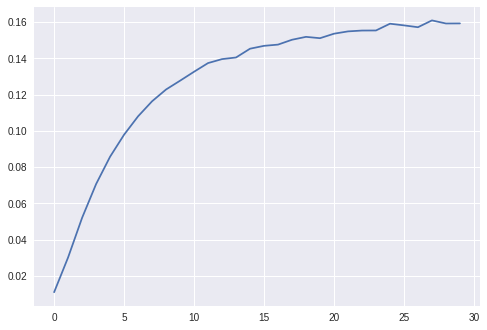 Below, we added the learning curve of the validation set of the NDCG@100 against the epochs. Even though I tried to regularize with lots of different parameters, over-fitting was unavoidable. Neural net (non-linear model): One of the main advantages of the NeuMF is that it is a non-linear model, so it can capture more complex patterns in the data. However, we can see our NDCG is lower here than it was with regular NMF. Overfitting for big datasets: In the original paper, the NeuMF improves the NMF model, but it is for a smaller dataset. We can deduce that for bigger datasets this method tends to overfit. Query time is O(#items): One of the problems with this method is that, for a given user, we need to parse all the items. This can become a scalability problem when the number of items increases. Restricted Boltzmann machines (RBM) are a generative stochastic artificial neural network with a very simple architecture (one input layer and one hidden layer) that can be used to learn a probability distribution over the inputs, in our case the click vectors. 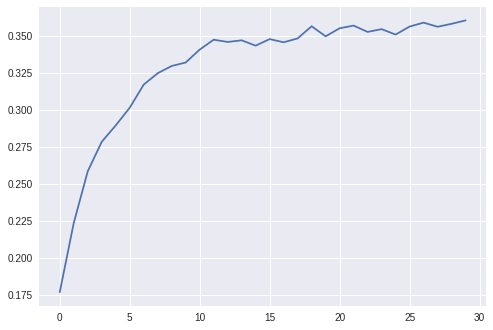 Below, we added the learning curve of the validation set of the NDCG@100 along the epochs. Neural net (non-linear model): As the RBM is a NN, it is a non-linear model, so it can capture more complex patterns in the data. Potential interpretability: The RBM learns complex features from the data that are represented by the hidden layer. By doing some analysis (in terms of genre, actors) one could technically manage to explain the results. Long to train: The training of this model revolves around a method called Gibbs sampling. This method implies a lot of sampling and this is computationally intensive. Deep collaborative is a straight-forward collaborative model that aims to predict the most useful items for an user. The input is a user’s click vector, and the raw output is our recommendation. To train this model, I used 70% of the user’s click vector as input (the 30% left is replaced with 0s), and the rest as output. The architecture is simple. There’s an input and an output of the same size (#items), and multiple hidden layers of the same size (1000 neurons). Neural net (non-linear model): Deep Collaborative is a non-linear model, so it can capture more complex patterns in the data. 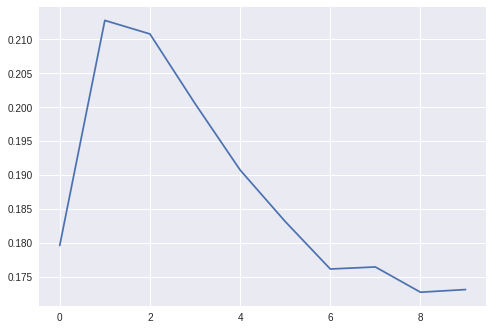 Fast query time: The main advantage of this model is that in one forward pass, we can obtain the recommendation for a given user, which gives us a short query time. One can see that the number of parameters of the model increases with the number of the items, but even with this it remains faster than NeuMF. 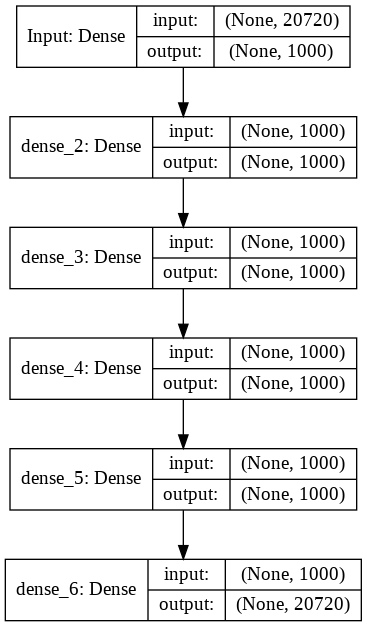 No interpretability: This kind of deep NN makes it impossible to explain the results. Autoencoders (AE) were initially used to learn a representation of the data (encoding). They decompose into two parts: the encoder, which reduces the shape of the data with a bottleneck, and the decoder, that transforms the encoding back into its original form. As there is a dimension reduction, the NN will need to learn a representation in lower dimension of the input (the latent space) to be able the reconstruct the input. In the context of RS, they can be used to predict new recommendation. To do so, the input and the output are both the click vector (it is usual for AE that the input and the output are the same) and we will use dropout after the input layer. This means that the model will have to reconstruct the click vector as some element from the input will be missing, hence learning to predict the recommendation for a given click vector. 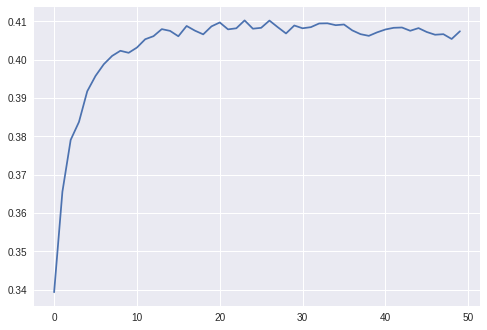 Below, we added the learning curve of the validation set of the NDCG@100 along the epochs. Even though we tried to regularize with a lot of different parameters, it quickly overfit. Neural net (non-linear model): The AE is a non-linear model, which means it can capture more complex patterns in the data. Fast query time: One forward pass is sufficient to get the recommendation for a given user. Which means the query time is fast. Variational Autoencoders (VAE) are an extension of AE. Instead of having a simple dense layer for the bottleneck, it will have a sampling layer. This layer will use the mean and variance from the last layer of the encoder to get a Gaussian sample and use it as input for the decoder. Same for the AE we use dropout for the first layer. Below, that same old NDCG@100 on the validation set during learning. Neural net (non-linear model): The VAE is a non-linear model, so it can capture more complex patterns in the data. Fast query time: One forward pass is sufficient to get the recommendation for a given user. Hence the query time is fast. More complex to implement: the sampling layer makes it difficult to compute a gradient descent with back-propagation. The reparameterization trick makes it possible to overcome this problem by using the equation z = ε × σ + μ, with ε ~ N(0,1). We can now compute the gradient safely. Non-explicable results: This kind of deep NN makes it not feasible to explain the results. 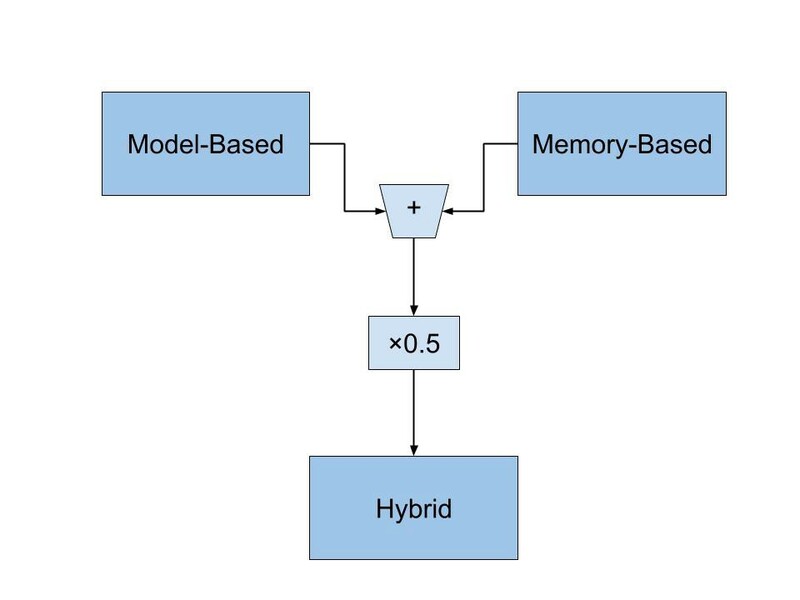 Hybrid models offer the best of both worlds (memory-based and model-based approaches), and are therefore very popular in RS. 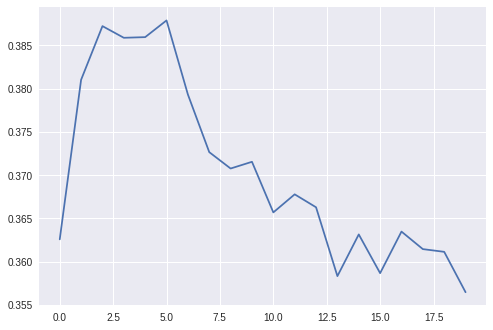 To implement the hybrid method, I chose to use a VAE and then average its results with memory-based results. Part of it is a NN: As a part of the method is a VAE, it can capture more complex patterns in the data. Interpretability: As a part of the method is Memory-based, we get the interesting property that we can explain to the user why we recommended them a specific item. Query time is O(#users × #items): The bottleneck in terms of computational time is the memory-based part. As shown above the query time for it is O(#users × #items) without preprocessing. We can now compare all our models. The best model when looking at the NDCG@100 is the VAE. For the personalization index, it’s the RBM. New methods like VAE, AE, or Deep Collaborative outperform classical methods like NMF on the NDCG metric. Non-linear probabilistic models such as variational autoencoders enable us to go beyond the limited modeling capacity of linear factor models. 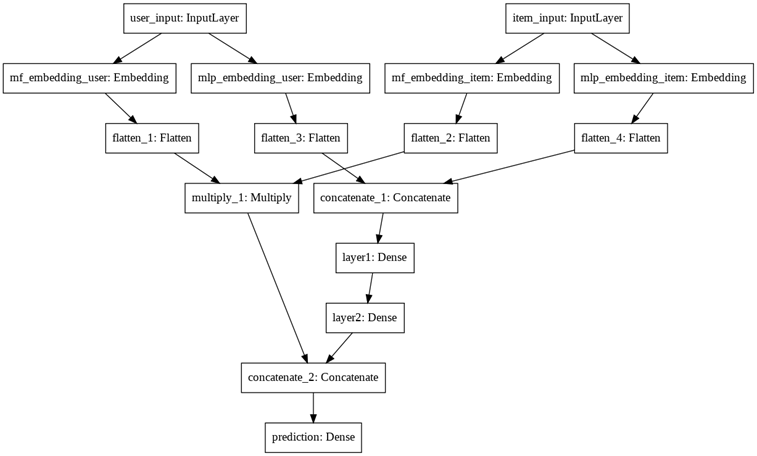 In my next post, I will do a deep dive into the VAE implementation for recommender systems with code and illustrations, so stay tuned ! Dawen Liang, Rahul G. Krishnan, Matthew D. Hoffman, Tony Jebara,Variational autoencoders for collaborative filtering, 2018.